Filters Qty - the number of filters from 1 to 10, the more filters, the more smoothing. Optimized for maximum operation speed in Expert Advisors. The Laguerre Oscillator indicator is generally used for buying, once the line crosses the 20% level from below, and for selling, once the price crosses the 80% level from above. 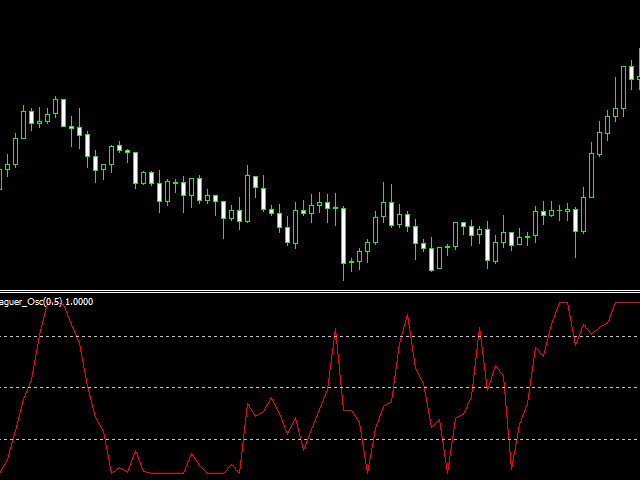 But it is also possible to create more elaborate trading rules, just as with a normal oscillator.